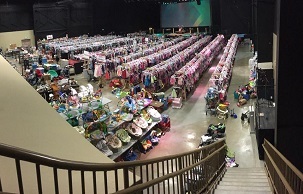 "Huge selection of baby items, clothes, accessories. The staff is amazing and all so kind and helpful." "VIP tagging option was super useful- no need to worry about anything, just give your items and collect the check." I love working with the Lynnwood/mill creek sale. Charla works to sell all the things!! She works to grow the shopper numbers. My check is larger with every sale.